Explore the Grand Canyon, ancient Indian ruins, Sedona and Oak Creek Canyon, then relax at "the Place with the Personal Touch." The Inn at 410 offers award-winning hospitality in a charming 1907 Craftsman home. Enjoy scrumptious gourmet breakfasts each morning; let the aroma of fresh-baked cookies greet you at the end of your daily excursions. 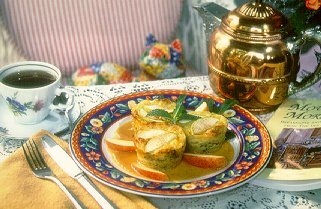 Our recipes were featured on PBS-TV's Country Inn Cooking with Gail Greco. Refresh yourself with a glass of iced tea and enjoy summer sunsets from the garden gazebo. In the winter, curl up with a mug of hot cider and warm yourself by the fire. Retreat to one of nine spacious and uniquely decorated guest rooms with private bath and fireplace and some with jacuzzi tub. Venture in to historic downtown Flagstaff where you'll find restaurants and shops. Visit Flagstaff's Museum of Northern Arizona, Riordan Mansion or Lowell Observatory. Hike, mountain bike or ski nearby. 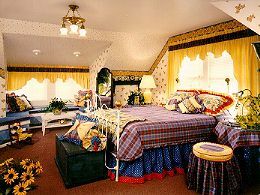 2005 room rates $150-$210, we offer AAA discount and Winter Specials, advanced deposit required. VISA, MC. 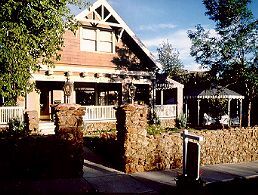 This and other Flagstaff Bed and Breakfast Inns can be found here in The Register. Romantic Country Inns, Getaways and B&Bs offer a great Grand Canyon lodging alternative to big hotels.